This energy policy compendium will give you the information you need to stand up for a just energy future. Our intention in creating this compendium is that it will serve as a resource and will spur states to make sure their energy policies protect communities from harmful energy production processes while simultaneously providing equitable access to economic opportunities in energy efficiency and clean energy. Community involvement in paving new energy pathways is especially important because our energy system is broken and communities of color are paying the highest price. Renewable Portfolio Standards, Energy Efficiency Resource Standards, and Net Metering Standards for each state and also shares detailed information on how to access rebates/loan/grants, etc. for energy efficiency and clean energy. A Renewable Portfolio Standard (RPS) requires electric utility companies and other retail electric providers to supply a specific minimum amount of customer load with electricity from eligible renewable energy sources. In order to protect community health and well-being, as well as preserve the planet, we must transition to renewable energy. 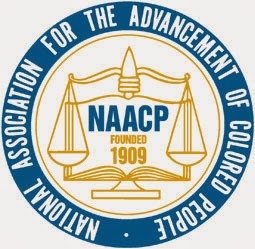 In setting standards for the content of RPS, the NAACP goes further and distinguishes that this must be clean energy, recognizing that not all renewable energy has been proven safe with minimal impact on the environment and communities. Under this definition, we focus on efforts on advancing solar, wind, and geothermal energy. Energy Efficiency Resource Standards (EERS) establish a requirement for utility companies to meet annual and cumulative energy savings targets through a portfolio of energy efficiency programs. Given our current dependence on harmful energy production practices, we should reduce our demand for energy altogether. Net Metering Standards require electric utility companies to provide retail credit for net renewable energy produced by a consumer. Meaning, if the consumer generates more energy from their solar panels or wind turbines than they use, they can sell it back to the utility at the same rate at which they purchase electricity. In order to incentivize clean energy practices at the consumer level, we need to offer the opportunity for revenue-generation for individuals who contribute to the grid through their at-home energy production. As stated above, communities of color historically disproportionately have less access to jobs and wealth creation opportunities. As part of the effort to advance just energy policies and practices, it is essential to review state policy provisions to ensure that they foster economic growth for local communities. Local Hire is a goal or requirement to hire people who live near their place of work. This goal is achieved by requiring contractors that are awarded publicly funded projects to recruit a specified proportion of local residents as workers on the project. This provision: 1) ensures that tax dollars are invested back into the local economy; 2) reduces the environmental impact of commuting; 3) fosters community involvement; and 4) preserves local employment opportunities in construction. Minority Business Enterprise is defined as a business that is at least 51% owner- operated and controlled on a daily basis by people who identify with specific ethnic minority classifications, including African American, Asian American, Hispanic American, and Native American. MBEs can be self-identified, but are typically certified by a city, state, or federal agency. The predominant certifier for minority businesses is the National Minority Supplier Development Council. Often publically funded projects set a requirement or goal to source MBEs as suppliers. Tables listing each state’s incentives and rebates for energy efficiency and renewable energy are included in each state profile in the compendium. Each incentive has a short description and a hyperlink to more information. Statewide incentives are generally rebates and loan programs that individuals and businesses may claim according to the provisions of state law. Incentives may also include Local Options enacted by municipal governments. This section relates to the incentives offered by specific utilities in each state, and in some cases interstate utilities. Some programs are only available to either electric or gas customers of a certain utility. Different programs are available for residential and commercial customers. Local incentives are those offered by counties, cities, and towns. Not all states have local incentives. Non-profit incentives are offered by non-profit organizations. These are only available in some states.